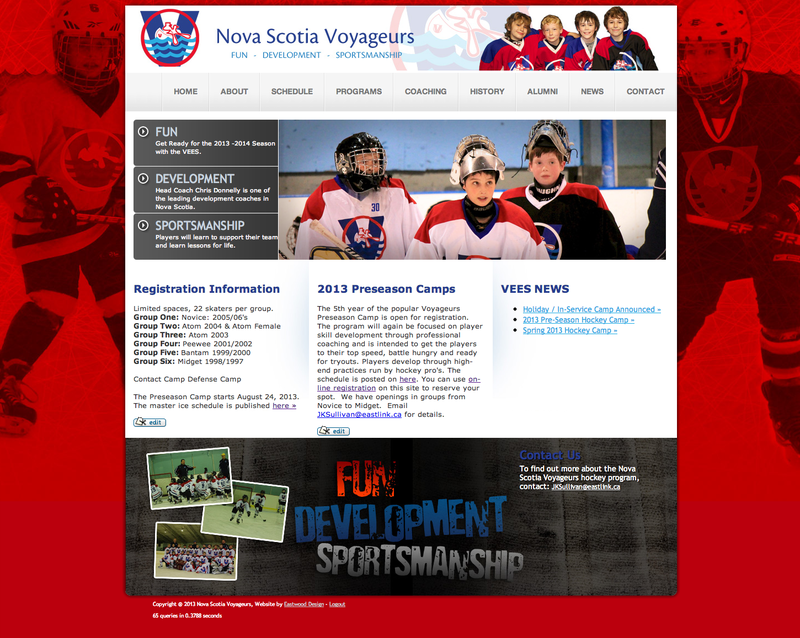 The Nova Scotia Voyageurs Hockey Club were having some issues with an old outdated wordpress site. That is when Eastwood Design stepped in to first fix their old site and then design a complete new site. The new website includes an easily updatable program schedule and online registration forms.